2M did a number of projects for the Ruijven Rejiva. 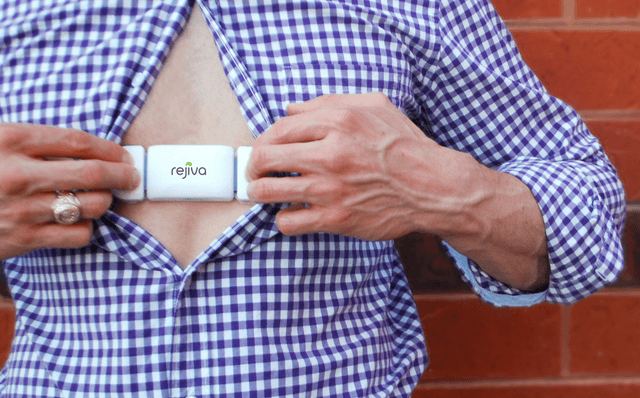 The Rejiva is the first wireless biofeedback patch that captures overall health, manages stress, appraises the aging process, and tracks sleep and energy level. Rejiva measures Heart Rate, Heart Rate Variability (HRV), Respiratory Rate, Sleep Position, Restfulness, Breathing Index, and Energy Level to analyze the state of the Autonomic Nervous System (ANS). 2M supported Rijuven in a number of projects with various signal processing algoritms for their Rejiva product including the energy related features like activity, calories spend and the fall detection. Besides the more product development oriented questions 2M received we also looked at technical feasibility of certain features by making test setups and performing tests with a small number of subjects to prove validity before moving towards development.